Borrelia burgdorferi, the causative agent of Lyme disease, thrives in small amounts of oxygen but dies when exposed to an oxygen-rich environment. By saturating the body with oxygen, such as during hyperbaric oxygen therapy (HBOT) can effectively kill this microorganism. Furthermore, hyperbaric oxgyen therapy enhances the body’s neutrophil killing capacity and the delivery of antimicrobials deep into the infected tissues. Hyperbaric oxgyen therapy works synergistically alongside antimicrobials to ensure the complete and timely elimination of the causative microorganism. The infection is transmitted through a tick bite that is often unrecalled. The classic oversized bull’s eye rash (erythema migrans) resulting from the bite doesn’t appear in more than half of those infected. 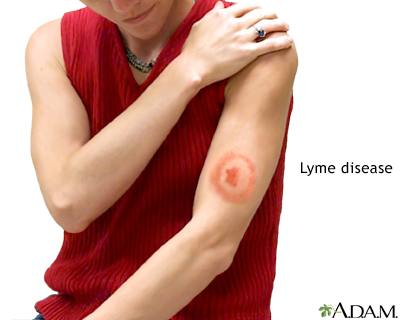 Symptoms for Lyme disease are highly varied. Acute stages manifest as flu-like symptoms while chronic or late-stage Lyme disease can affect the heart, joints, and nervous system. This manifests as a myriad of symptoms such as abnormal heartbeats, arthritis, brain fog, and numbness or weakness, which can last for months to years. The later stages of Lyme disease may require more sessions of hyperbaric oxygen therapy. Treatment during the early stages of Lyme disease is critical, however, in the late stages of Lyme disease, Hyperbaric oxygen therapy is effective but may require more sessions. Populations of black-legged ticks in Canada are growing, thereby increasing the risk of Canadians contracting Lyme disease. The highest chances of getting a tick bite is during the spring and summer months. The tick is mostly found in forests and overgrown areas between the woods and open spaces, where people oftentimes go to camp, picnic, hike, hunt, or fish. Risk areas in Canada include southern British Columbia, south-eastern and south-central Manitoba, southern, eastern, and northwestern Ontario, southern Quebec, southern New Brunswick and Grand Manan Island, and parts of Nova Scotia. Fife WP et al. : Treatment of Lyme disease with hyperbaric oxygen therapy; Undersea Hyperbaric Med; 25:29 (abstract); 1998. Mitchell L: An overview of Lyme disease and Hyperbaric Oxygen (HBO) therapy. Lang DV: Coping with Lyme Disease, Fourth Edition, pages: 230-232, 2004. Taylor RS, Simpson IN. Review of treatment options for lyme borreliosis. J Chemother. 2005 Sep;17 Suppl 2:3-16. Review. Stricker RB, Lautin A, Burrascano JJ. Lyme disease: the quest for magic bullets. Chemotherapy. 2006;52(2):53-9. Epub 2006 Feb 22. Review. "... The treatments themselves have been the most beneficial out of any other type of medicine I have done and I would recommend them to anyone."